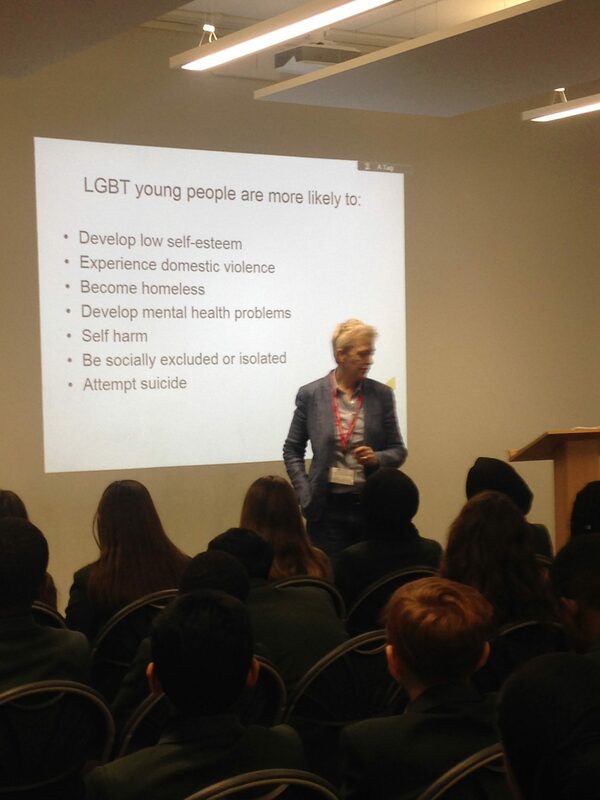 Last week Liz Sacre, Senior Children and Young People’s worker, came in to speak with our Year 7, 8 and 9 students about LGBT. Liz works for a charity called ELOP, who aim to inform pupils about LGBT and ensure that they are aware of how they can create and be part of a safe and inclusive environment. Liz spoke to the pupils about gender and identity and the issues around stereotyping what it is to be male or female. She also discussed issues that face those who may be lesbian, gay, bisexual or transgender and how best we can create a community that promotes equality and inclusiveness. We would like to say a massive thank you to Liz for coming in and speaking with us.